See Ashkettle Crazy by A.M. Goetz on Amazon. 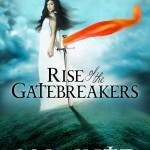 Today, we welcome A.M. Goetz, author of The Ashkettle Boys Book Series, to the blog. Welcome! Q: Tell us, who is A.M. Goetz? A.M. Goetz is just Anne to her friends and family. I’m a professional copywriter who’s been sitting on an idea for about ten years now. It was time to finally begin writing things down, and voila! The Ashkettle boys were born. Q: Who are the Ashkettle Boys? A: The Ashkettle boys are three devoted brothers, Sonny, Bo and Dack. They live deep in the Adirondack wilderness and are struggling to overcome seven years of abuse at the hands of a cruel uncle. This is a book series about dealing with the aftermath of trauma. It’s about love and loss and hope and defeat and struggle. Mostly, it’s about helping someone you love heal from traumatic memories and PTSD. It’s about learning how to cope when you’re able to help and how to step back when you aren’t. Q: Are these true stories? A: No. The books are fiction. Only very small parts are based on actual events. I did grow up in the area depicted in the first book, Ashkettle Crazy, and the boys are loosely modeled after some of the boys I grew up with as far as how they talk and think and act. My sister, Karen, did once sit on the old well cap and talk to yellow foxtails, and I did always sit on the ground beside her and listen.  She was the original writer in the family. Q: How have the books been received? A: Surprisingly well. I’ve received dozens of emails from people who identify with the brothers, which is actually a sad thing in itself, considering what these characters have been through. But it’s heartening to hear the stories. Maybe my books will help empower someone down the line. That would be the best day ever. Q: Tell us the titles of the books and what they’re each about? A: Sure. 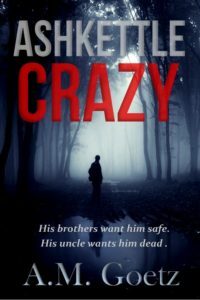 The first book in the series, Ashkettle Crazy, is about the desperate run the boys make to break free of crazy Uncle Merle. 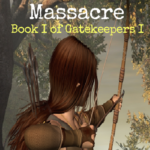 It recounts their time spent in the wilderness, trying to reach the safety of their father’s old hunting cabin, and about what happens when Merle catches up with them. There’s a lot of brotherly bonding in this book, which is really the core of the series. 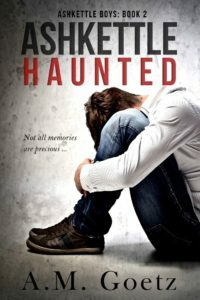 Book Two, Ashkettle Haunted, deals with the aftermath of abuse and how a family is affected by traumatic memories and post-traumatic stress. The youngest brother, Dack, took the brunt of the abuse and spends the second book trying to understand why he feels the way he does. 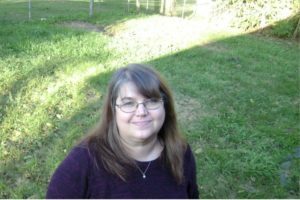 Book Three, Ashkettle Fierce, is still in progress, but it revisits Janie Gentry, a character from the first book whom Bo has feelings for. 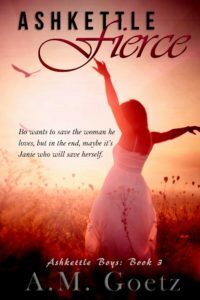 Fierce introduces elements of romance into the saga when Bo feels responsible for saving Jane from the admirer who’s stalking her. Jane will emerge as a strong, female character, however, and maybe she’ll just save herself; thank you very much. There are still lots of brotherly feels in book three, however, so don’t count the brothers out just yet. 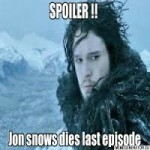 Q: So, will book three be the last book in the series? A: I don’t think it will. I think the Ashkettle boys still have many more adventures tucked away with them in that old hunting cabin in the mountains of New York. Q: Is there anything you would like to say to loyal readers of the Ashkettle Boys Books? A: Absolutely. Foremost, I want to say thank you for taking the time to read and to review the books. Thank you for your feedback that helps me improve my craft. And a special thank you goes out to my two most ardent fans, my mom and my friend Julie, who’ve made it their missions to promote my books at every opportunity. Keep those letters coming. I love hearing from each and every one of you! And thank you, Marilyn, for letting me take up space on your blog today. You rock! Q: You’re welcome. Now, hit us with your links!